Softwares Max, founded in 2015, is an American owned and operated computer software eCommerce retailer. Our traditional business model is based on quality, affordability, and user experience. As an industry leader in software and technology retail, customer satisfaction is our number one priority. Our unified goal at Softwares Max is to deliver a universal solution for all of our customer’s software and hardware needs, while maintaining the industry’s lowest prices. 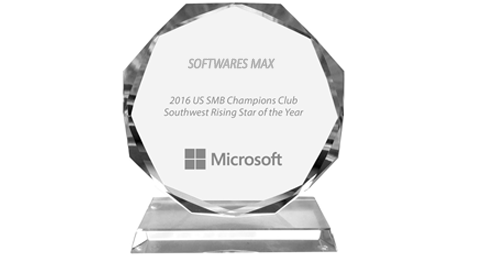 2016 US SMB Champions Club Southwest Rising Star of the Year by Microsoft's Small and Mid- Sized Business (SMB) Champions Club. 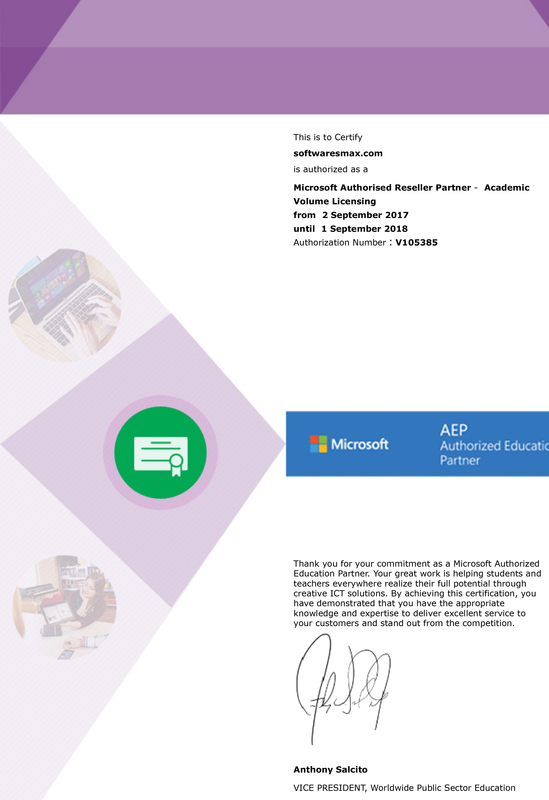 The award recognizes those who have demonstrated significant Microsoft SMB sales and year-over-year SMB revenue growth with Southwestern Region Area SMB customers. Members of the US SMB Champions Club have shown dedication to arming the small business community with the right technology and services they need to be successful. 1- Live support with little to no wait time. 2- Instant digital downloads on most products, available immediately. 3- Highly competitive prices and great deals every day. 4- Non-Automated support by phone or email, as well a live-chat system during regular business hours. 5- We strive to make sure our customers are 100% satisfied with our products and support. Customer service is extremely important to us, and we strive to make sure our customers are 100% satisfied with our products and support.